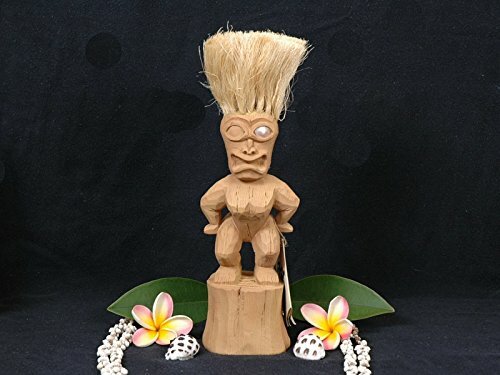 Here is a beautiful Tiki measuring 10 inches tall, made hapa wood (composite). Perfect for the indoor or outdoor. Specification: - Provenance: replica - Possibly during Captain's Cook 3rd voyage - Size: 10 inches - Material: hapa wood (composite) - Color: light brown Tiki bar or tropical home decoration!